Time for another series spotlight! Today, I'm spotlighting a dear friend & her series about Cam & Ellen! If you haven't read anything by Anne Eliot, I urge you to do so. She writes sweet, clean, young adult type romances. Unmaking Hunter Kennedy makes me snort laugh. Almost made me cry. How I Fall & How I Fly... well they made me cry, smile, yell at the antagonists, cry again, and smile some more! I adore this series! What if on one fall day, everything goes terribly wrong at school but somehow turns out right? Suddenly you're forced into friendship with your secret crush—thanks to a glitter crazed new-girl who turns your life upside down. Literally. But you know your crush needs to stay how it's always been—distant, impossible, in your head—because you have problems and hide things this crush would never understand. But what if you all end up in the same group photography project? Suddenly talking and making friends is easy, more than easy. It's almost perfect. What if high school felt normal for once, and what if your crush wasn't who you thought they were at all, and what if they liked you as much as you like them? 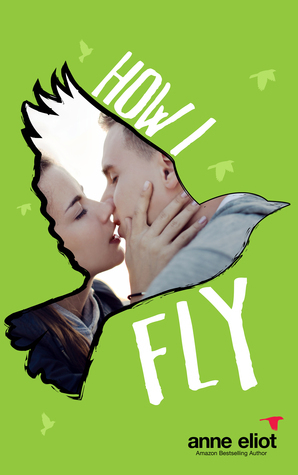 How I Fall, is the first book, bestselling, high school romance series ending with: How I Fly. Though they can be read as stand-alone-it is recommended readers read this book first. The series is about friendship, boyfriends, taking risks and first love. 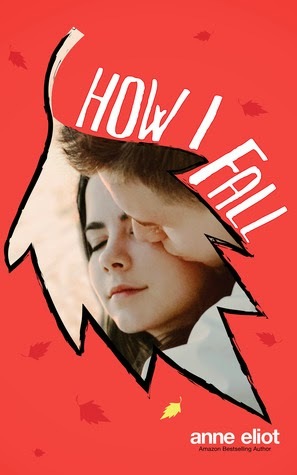 There’s a photographer heroine who has left-sided cerebral palsy (hemiparesis) that makes her weak on one side and she falls often; all while she’s falling deeply in love with football jock, Cam Campbell. A guy who also dreams to be a photographer like Ellen but can't because of his parents’ controlling rules. Representation: Anne Eliot’s foreign translations, audio and film rights are represented by Jane Dystel of Dystel and Goderich Literary management.